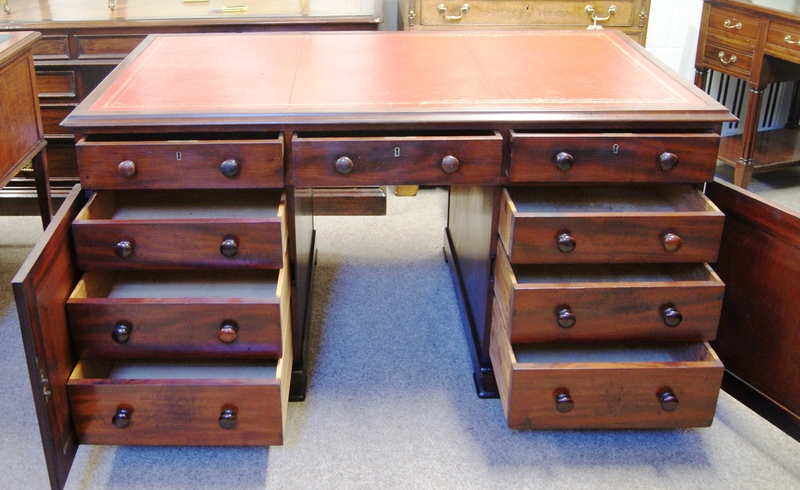 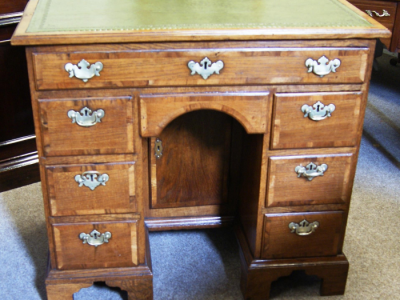 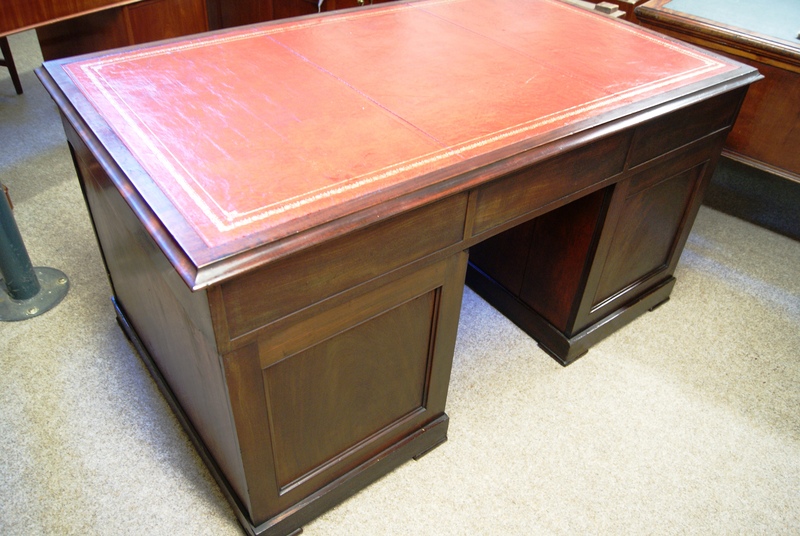 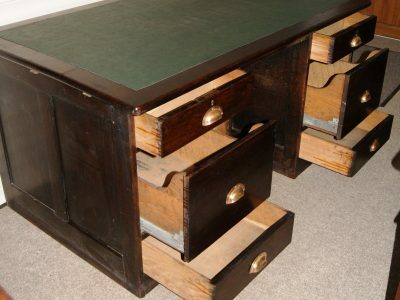 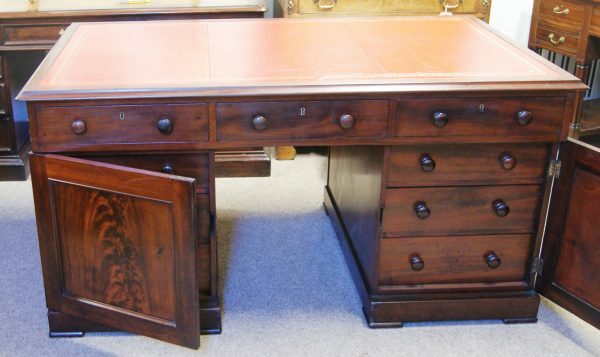 A very good, 5ft wide, Victorian mahogany semi-partners office pedestal desk. 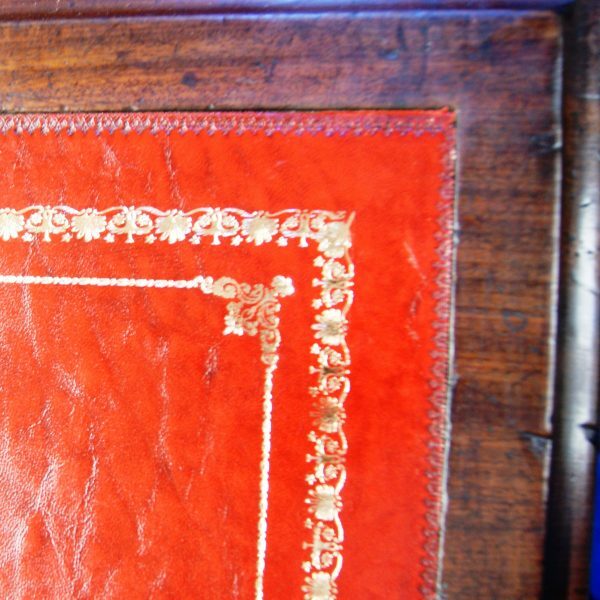 circa 1850/60. 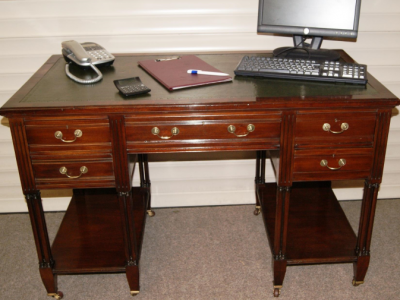 Each pedestal with three large deep drawers behind a cupboard door. 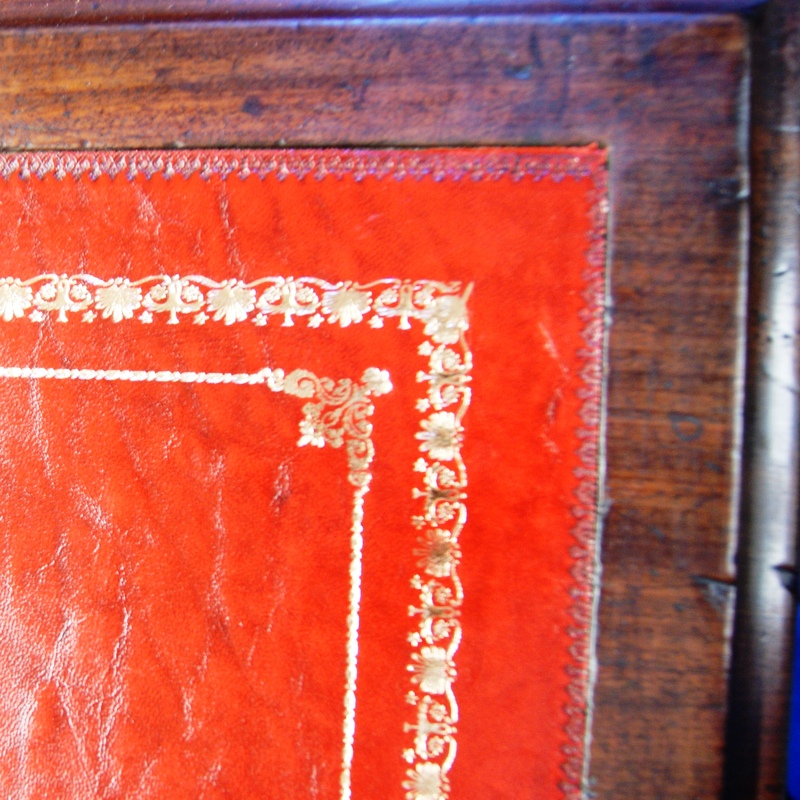 The top frieze section also with three deep drawers. ( nine drawers in total). 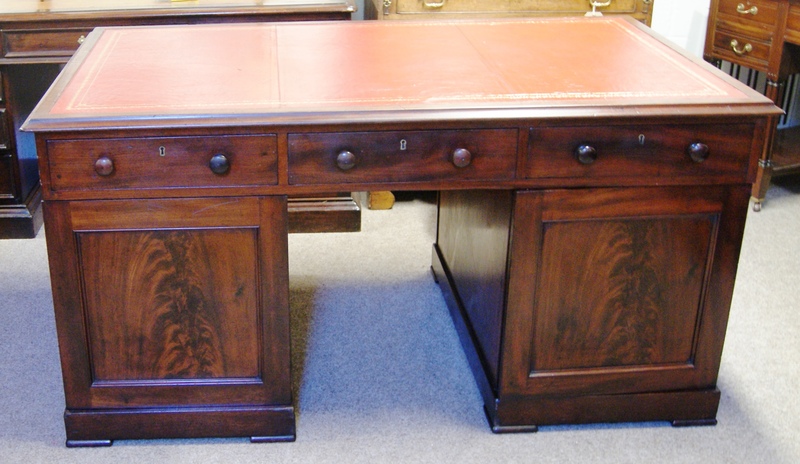 The top fitted with a new gilt tooled antiqued red leather writing surface. 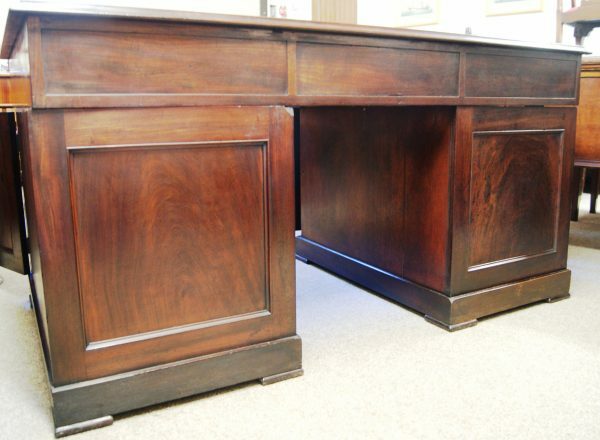 Knee-hole size : 20ins wide x 24ins high. 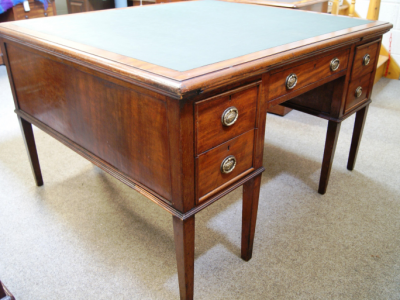 Cleaned & traditional waxed all round and in lovely condition ready for either home or Office.